The primary objective of making a contract is to eliminate the consequences which can occur in future. The contract will contain all the terms and conditions of the deal which is going to be finalized. 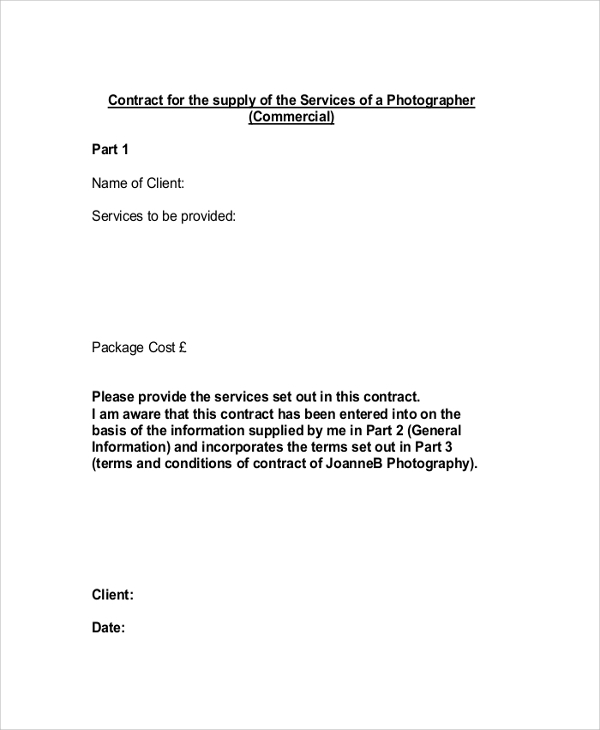 In a similar way, photography contract between two parties is made to get the confirmation of the promises which has been made verbally. 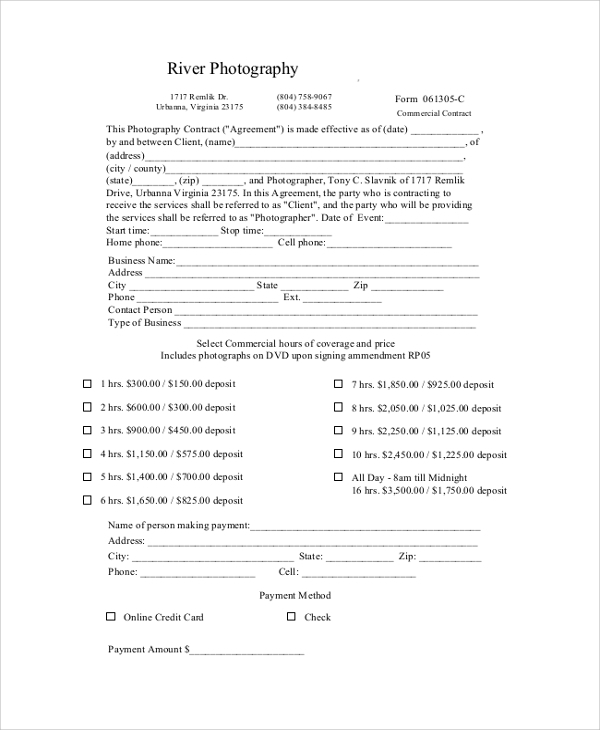 Any miscommunications can be eliminated between the photographer and the client by making a valid photography contract. Some of the Sample Contracts of photography has been mentioned here. 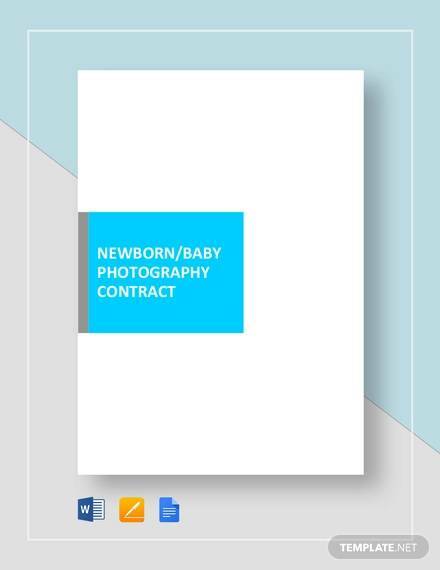 This contract is compatible for the baby shoots, headshots, family, senior portrait, etc. Under this contract, time of the shoot and how many photos will be provided by the photographer to the client will be decided. Then, fees for the shoot, maximum number of days till when the photographer will deliver the photographs and all other essential conditions from the client and the photographer side will be declared. 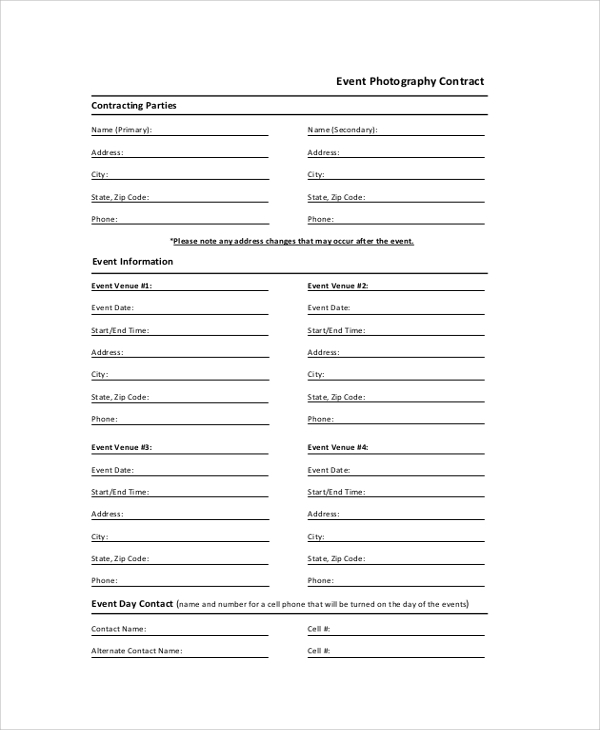 This event photography contract is made between the photographer and the client for a specific event. All the details of both the parties and event are necessary to be mentioned in the contract. 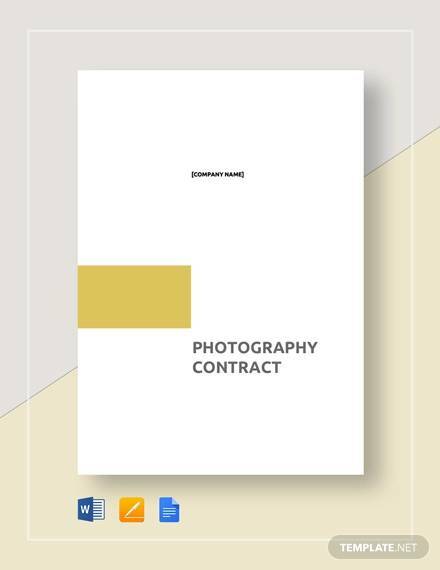 It will include all the relevant information about the expenses of the photographers, and all other safety and security issues will be discussed in this contract. 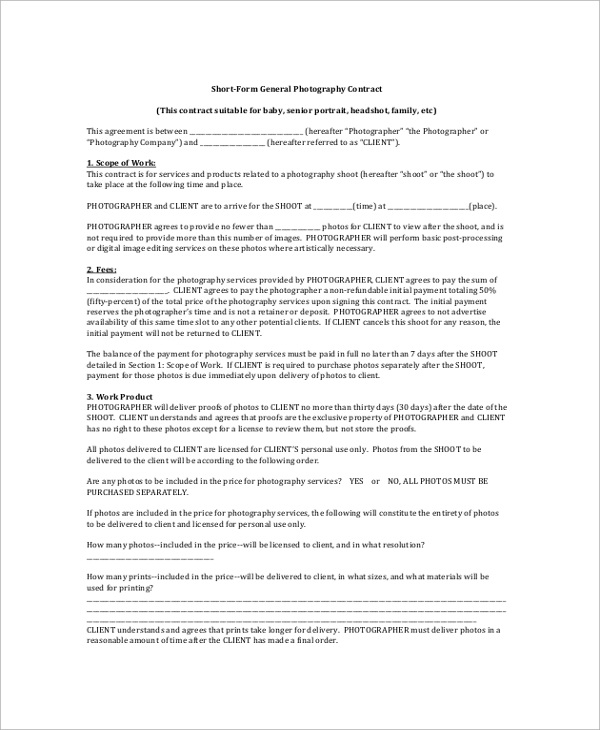 Under this portrait photography contract, the client details, portrait appointment date, persons to be photographed, animals and property to be photographed and additional comments are mentioned. At last, the client has to sign the agreement by reading all the given terms and conditions. 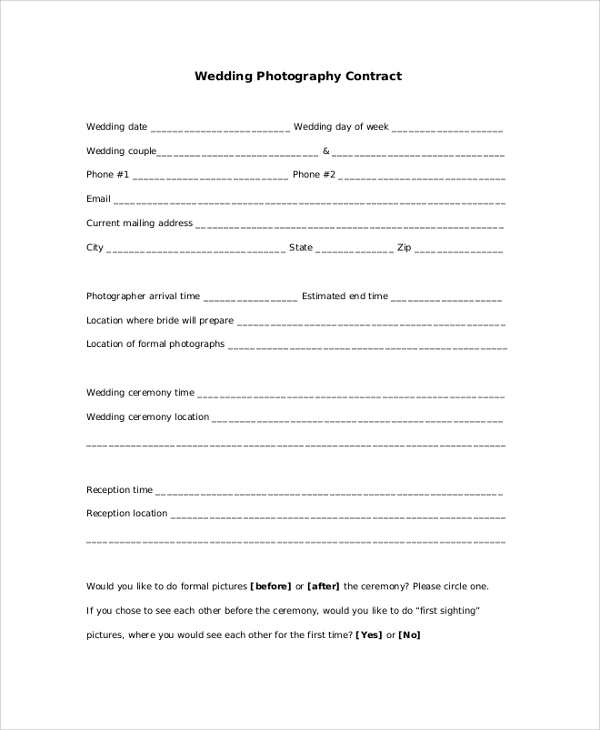 This photography contract will include the details of the wedding ceremony like the date, venue and timing of the work. 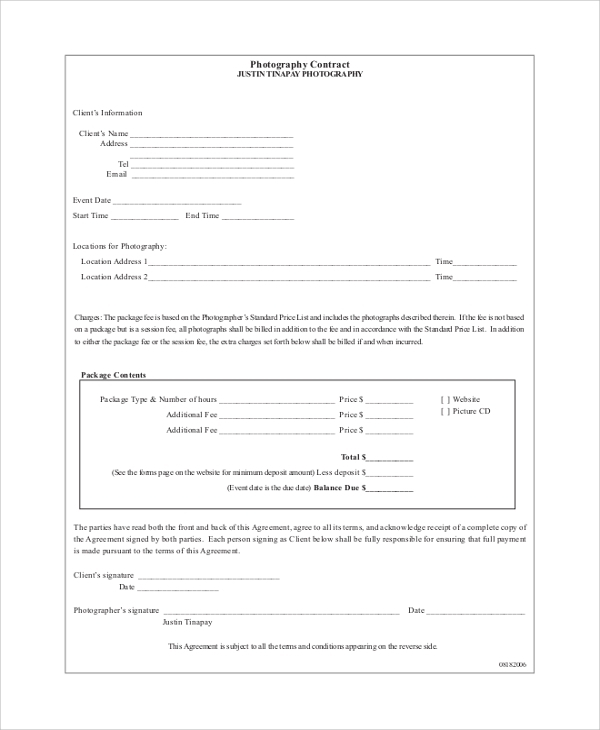 If there is going to be any pre-wedding photo shoot, then it should also be included in this contract with the total fees to be paid to the photographer. This contract is made for the advertising purpose, and the duration of this deal is for a quite long time which means the contract should include all the essential terms and conditions of the contract so that no conflict can occur in the future or during the work. 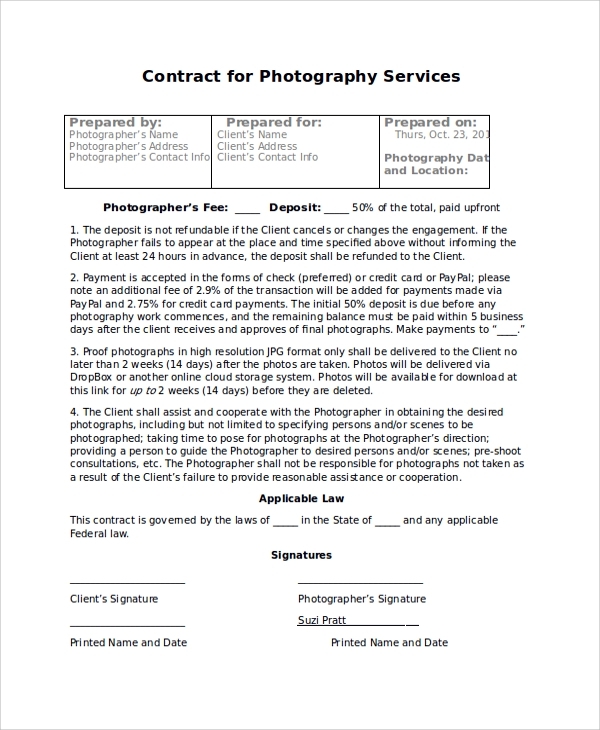 Why there are Different Types of Photography Contracts Available? Every photography shoot has different terms and conditions and therefore, the same contract cannot be used for individual photo shoots. Like in wedding photography contracts, there are many events to cover and the duration could be long. While in portfolio shoot, the deal is for some hours and the equipment for both the shoots are different. 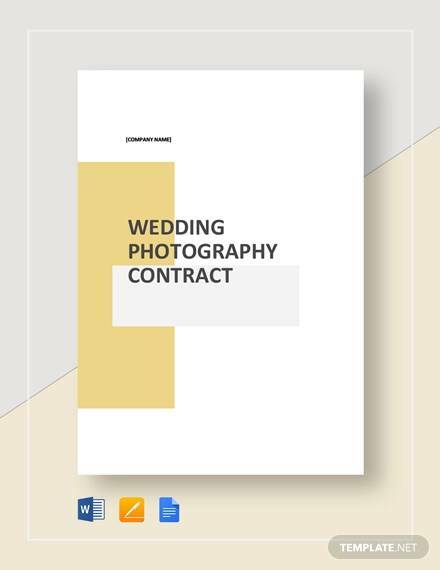 Do not get confused with the term Photography Contract that it will be same for all types of occasions; then it can bother you in future, and you may suffer financial loss due to this. Be careful while finalizing the deal and signing the contract. What are the Terms Which Should be Declined by the Photographers on the Contract? 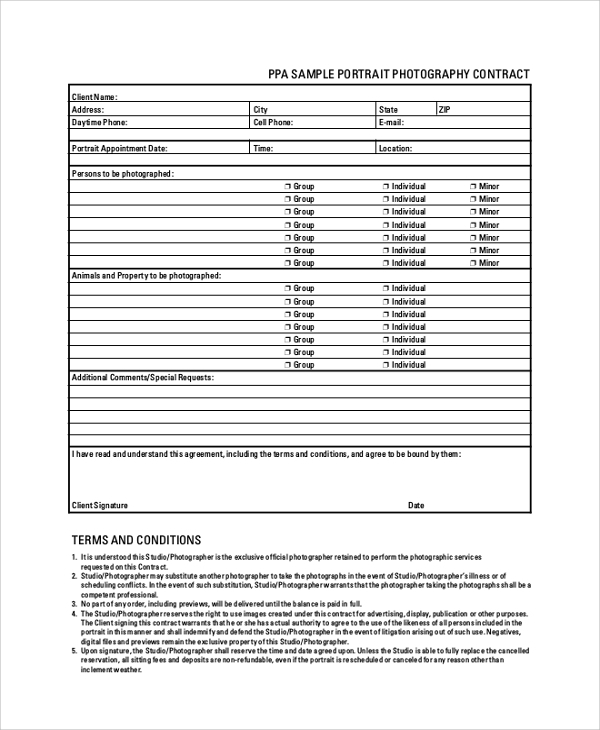 Photographers should strictly reject some terms which can be included in the photography contract. These terms are the transfer of copyright, aggregated licensing, handover raw files, unclearly defined use, etc. These conditions can lead to severe losses for the photographers and can affect their career. No one should sign the contract without reading the conditions mentioned in the deal as it can be used against them in the future and affect your professional life and career in a very negative way. Be careful while signing the contract. We have tried to mention all possible types of photography contracts which can be useful for you. Remember all these things while making any photography contract so that you can complete the deal without any conflict. In a similar way, you can understand the Sample Business Contracts by finding it on the internet.